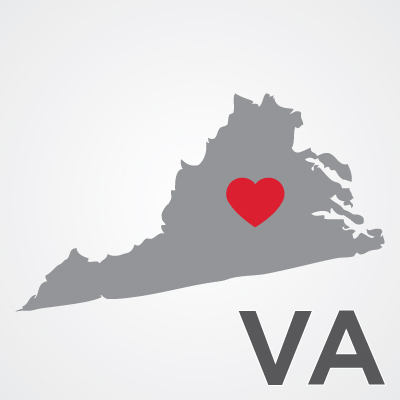 A solid majority—56%—of likely voters in Virginia supports marriage for gay and lesbian couples, according to a new survey conducted by the Wason Center for Public Policy at Christopher Newport University. The poll is consistent with other surveys recently conducted by the Washington Post (56%), Greenberg Quinlan Rosner Research & Target Point Consulting (55%), and Quinnipiac (50%). This a dramatic reversal from 2006, when Virginia voters passed a ban on marriage for gay and lesbian couples by a margin of 57% to 43%. Digging deeper into the numbers, 71% respondents under 30 support marriage equality, according to the Greenberg poll. AFER recently joined the first federal case challenging the state’s ban on marriage for gay and lesbian couples, and protections for their families. Ted Olson and David Boies, who fought California’s Prop. 8, represent two couples, Tom Bostic & Tim London and Carol Schall & Mary Townley.